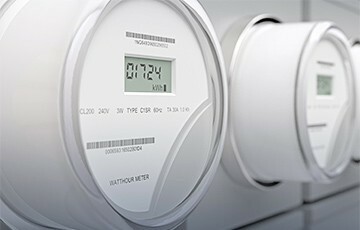 According to a new report from the IoT analyst firm Berg Insight, the installed base of smart electricity and gas meters in Europe will grow by 22 percent in 2018 to reach 151.9 million. Until 2023, the installed base is forecasted to increase by 80 percent to reach 273.7 million. 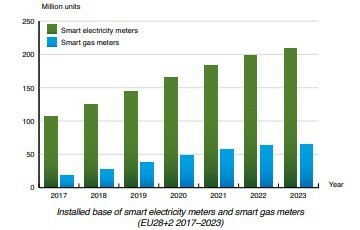 Growth will be driven by nationwide rollouts of smart electricity and gas meters in France, Italy, the UK and several other countries. As a result, energy networks are quietly becoming massive IoT networks made up of connected smart meters and other smart grid devices. Like any data network, the smart grid is vulnerable for attacks. Berg Insight recognises a growing awareness among industry players and governments that smart grid security should be considered a top national interest. “Countries and vendors who do not follow those principles could face serious consequences in the future. Adequate security measures will certainly add to the cost of smart metering systems but must be carefully weighed against the potential economic damage of a major power outage caused by hacker attacks”. The report outlines four key principles for smart meter security. For a start data can only be sent from a trusted source. This requires identification technology in all smart meters, based on private key infrastructure (PKI) and manged from the factory. Secondly, the exchange of data should be among trusted entities requiring mutual authentication between meters, gateways and back-end systems through PKI. To ensure that only authorised servers can read the data, all communications should be encrypted to safeguard integrity and privacy. As new security threats arise over time, it is essential that systems are upgradable.